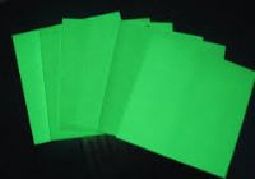 Photoluminescent rigid plastic board is also called as non-electric glow in the dark board or panel. It is made from photoluminescent pigment and specialized coating composite material that is thermally welded together. It can be cut into all of shapes and pattern applied to clean and dry surface. It is non-toxic and non radioactive. Indoor durability is in excess of 5 years. Outdoor durability is good but reduce in strong sunlight and humidity as there are no stabilisers in the plastic. 1: PLV-20M is middle glow rigid sheet, width is 1.0 meter x 1.20 meters & the sheet is fire resistant. 2: PLV-40H is high glow rigid sheet, width is 1.0 meter x 1.20 meters & the sheet is fire resistant. 3: PLV-60H is very high glow rigid sheet, width is 1.0 meter x 1.20 meters & the sheet is fire resistant. 3: PLV-80H is super glow rigid sheet, width is 1.0 meter x 1.20 meters & the sheet is fire resistant. 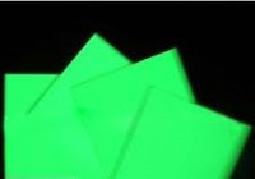 Photoluminescent aluminum panel is also called as non-electric glow in the dark aluminum board or sheet. It is made from photoluminescent pigment coated onto common aluminum board. The photoluminescent pigment is screen printed onto the surface of aluminium board providing a blank canvas for sign creation and other applications. The Aluminium panels can be screen printed onto to produce various safety and glow in the dark signs. Applications: Emergency safety sign and marker and stair egress escape way-finding system, cut our of profiles and shapes, back illumination for other signs, advertising boards, commercial sign production. The panels are non-toxic and non radioactive, Indoor durability is in excess of 10 years. 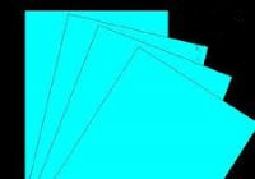 Photoluminescent PMMA board is also called as non-electric glow in the dark PMMA sheet and is made from photoluminescent pigment and PMMA plastic resin. The photoluminescent pigment is mixed into PMMA plastic resin and cast into a mould and produce the glow PMMA board. The Glow PMMA board can be screen printed with pictures. It can also be used to produce photoluminescent PMMA safety strip or various glow safety signs and egress wayfinding system. The photoluminescent PMMA board can be cut into various sizes and engraved into various shapes, pictures and designs. It is non-toxic and non radioactive. Indoor durability is in excess of 10 years. Code: APM-3G is 3mm thick. The glow brightness is 70mcd/m2 at 60 minutes. Code: APM-5G, is 5mm thick. The glow brightness is 75mcd/m2 at 60 minutes. Pigment type: Standard production utilizes our E grade of pigment. 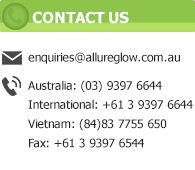 The higher glow grades are also available according to the requirements of customers.